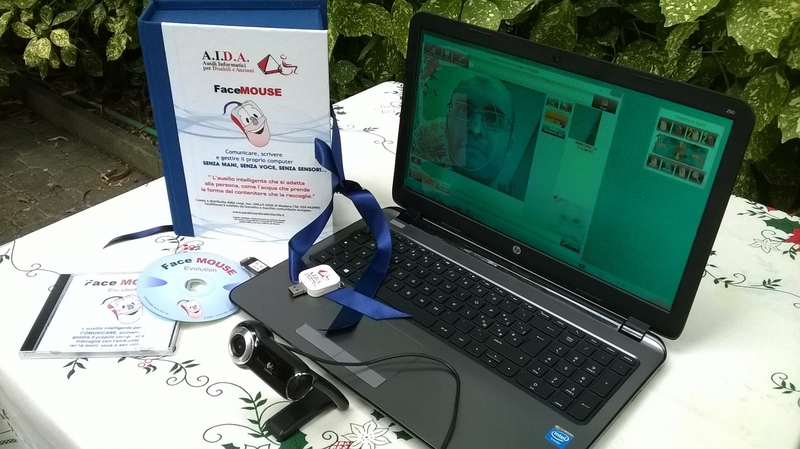 FaceMOUSE was originally created as a software only, being a mouse assistive device that can be installed on any personal computer with at least a 2 GHz processor. FaceMOUSE is a mouse assistive device that adapts itself to the person’s movements, therefore it is an assistive device for cerebral palsy and other motorial disabilities. Unlike other mouse assistive devices, it doesn’t take a precise control over one’s head movements in order to use FaceMOUSE, but also who is affected by spasticity, dystonia or has very limited motorial capabilities can effectively use it. FaceMOUSE is therefore suited to spastic tetraplegic cerebral palsy, multiple sclerosis o muscular dystrophy.